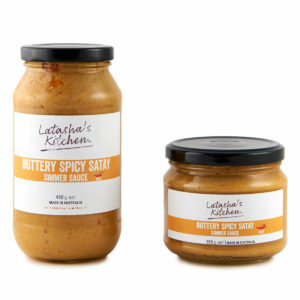 This scrumptious, buttery spicy satay simmer sauce is a must have for all pantries. With recipe origins from Penang, Malaysia – it’s the perfectly spiced peanut sauce. This nutty, thick and spicy paste is a versatile staple for any pantry. 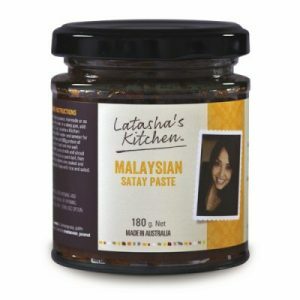 It’s packed with warm roasted crushed peanuts; hand-blended spices and fresh lemongrass, ginger, garlic and chilli. This paste is packed with the unmistakable flavours needed for a perfect Laksa. All you need to do is add water, coconut cream and milk for the soup base. You can then add a combination of noodles, bean sprouts, fish balls, fish cakes, prawns, tofu and more. Our paste is dense, hearty and nutty with a mild, slightly sweet taste great for stews. It contains whole spices such as cinnamon, nutmeg and cardamom and is usually served with beef or lamb. Use it to create authentic curries filled with plenty of protein and potatoes, and sprinkled with roasted peanuts. 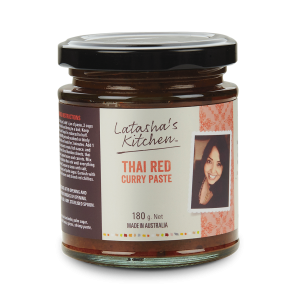 Red curry paste or kreung gaeng phet daeng, is made from dried red chilies, shrimp paste, coriander roots, cumin, garlic, other herbs and spices. Rich and pungent, it is perfect as an ingredient for fish cakes and coconut milk-based curries, delicious soups and stir-fries, and even as a marinade to flavour seafood, meat and vegetables before barbecue. 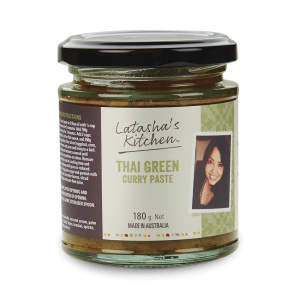 Green curry paste also known as kreung gaeng keo wahn, is made with fresh green chillies and aromatic herbs including coriander, basil, white pepper, wild ginger and lemongrass. A fragrant paste used to flavour chicken and fish dumpling dishes, and excellent with seafood, vegetables, tofu, eggs, rice, soups and noodle dishes.